The Pugsville Royale Photographer documenting Lord Byron and Lady Isabella as they explore New York City. On this cold but sunny day in New York City, Lord Byron donned his captain hat for one last cruise of the Pugsville Royal Yacht around Manhattan. Here we see Lord Byron on the upper deck, supervising the last leg of the cruise before they head to the dry dock on Long Island. This picture was taken just after the staff delivered his champagne, which was not the brand he had specified for the season-ending cruise… so Byron is looking a bit disappointed. Byron’s captain’s hat is from Pampered Whiskers, original pet hats. At yesterday’s New York City Pug MeetUp, Lady Isabella was having a bit of fun with the Pugsville Royal Photographer. Already the happiest little pug in the world, Lady Isabella was feeling extra playful, and making it harder for our poor photographer to get the full compliment of photos he was assigned. What can possibly be said about Lady Isabella that hasn’t already been said? Our perfect little fluffy lady had a wonderful day at the park and is looking forward to exploring more of New York City in the coming months. After exploring Carl Schurz park, Lady Isabella wanted to walk by Gracie Mansion and say hi to the Mayor of New York City. 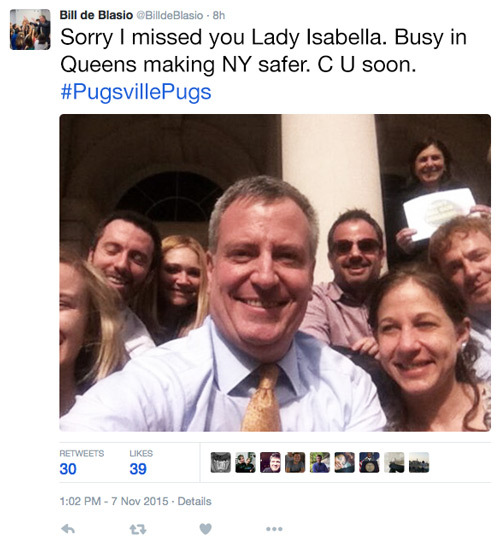 As it turned out, the Mayor was not at home, and sent his regrets via a tweet with a selfie. Seeing how disappointed Lady Isabella was, Lord Byron caught a whiff of something that might cheer her up, wildflowers! Sure enough, not far from the gate was a wonderful planting of wildflowers that smelled absolutely wonderful. And as they followed their noses, they uncovered a secret wildflower garden just north of Gracie Mansion, that was hiding the FDR overpass ventilation grates. 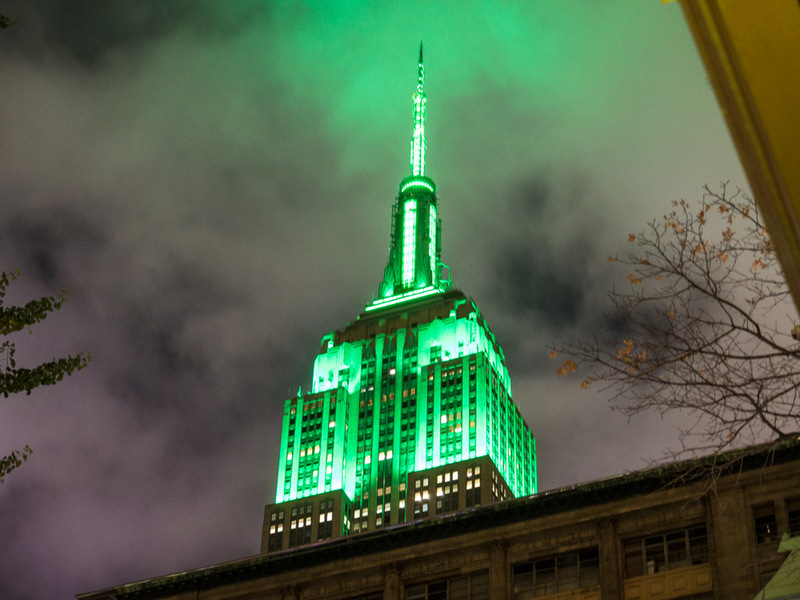 What a fantastic chance encounter, and something that could only happen in New York City.